Once 5G causes a market explosion, the challenge will be to monetize and derive maximum revenue from these IoT services. Most will be delivered to the consumer via subscription models that generate recurring revenue. To say that industry projections for the global IoT market are bullish would be quite the understatement. You’d be hard-pressed to find an industry metric that does not foretell incredibly strong growth in the market for connected devices and services across a wide array of industries, from automotive to healthcare to agriculture and beyond. Amid the enthusiasm and optimism for the promise of IoT is the reality that technological barriers—namely, the cellular networks upon which many or most connected devices and service rely—are preventing IoT application developers and device manufacturers from reaching the market. While faster than they’ve ever been, today’s cellular networks still possess limitations that hinder real advancement and have slowed the introduction of time-critical IoT applications. For one thing, cellular networks cannot provide the kind of latency-free connectivity advanced applications require. If you use a mobile application on a handheld device to instruct your connected garage door to close, it’s probably not that big of a deal if the action occurs a few seconds after the instruction is given. However, if your autonomous vehicle needs real-time data to understand the vehicle is approaching a red light, even a second or two of latency can be disastrous. In many cases, the exchange of data between the device and the cloud takes too long. Cellular networks are also subject to traffic and bandwidth constraints. Despite improvements, there are still gaps in coverage, and there’s no global coverage option. Once you’re outside the terrestrial network footprint, you’re essentially out of luck. Can you imagine the prospects for IoT services if the latency and network availability challenges were resolved? As 5G rolls out, they will be. 5G will bring faster, ultra-low-latency networks to the marketplace. It’ll remove the technical friction some IoT developers have experienced as they’ve worked to bring their products and services to the market. Ideally, when 5G becomes the norm, cellular, satellite and Wi-Fi connectivity capabilities will coexist dynamically. This “network of networks” concept will ensure the presence of uninterrupted, low-latency connectivity at all times and on a global basis. 5G will address the aforementioned problems stifling IoT innovation. It’ll also propel IoT to new and greater heights by accelerating the introduction of an even greater number of connected devices and services. 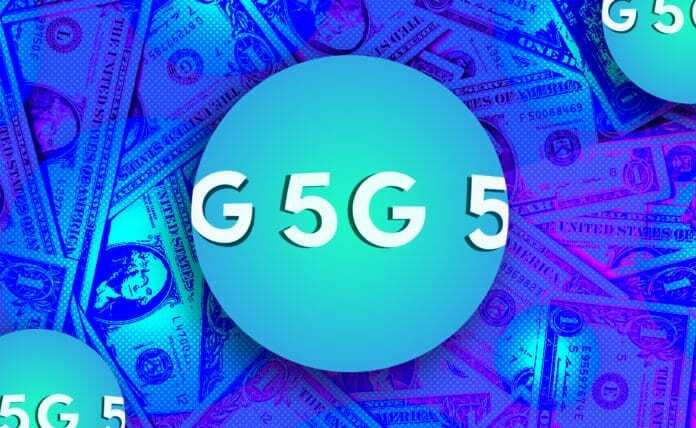 For organizations developing IoT applications, the projected market explosion 5G will cause will bring with it the challenge to monetize and derive maximum revenue from these services. Many if not most IoT services most likely will be delivered to the consumer via a subscription model. Across multiple industries, from music to software to publishing, we’ve seen a shift toward subscription-based services. People simply don’t own things anymore—they access what they need through subscriptions, which produce lucrative recurring revenue streams. Many traditional brick-and-mortar companies have upended their sales models. They’ve changed the long-standing nature of their transactional engagements with consumers. Because of this, people have gotten used to consuming things via subscription. As new and more complex IoT services flood the market, companies need to prepare now to ensure they have the right systems in place to support a recurring revenue model. Companies with limited to no experience managing subscriptions within a recurring revenue model need to begin acquiring new capabilities. They must enroll customers, set up payments and billing, handle upgrades or cancellations, provide customers with the ability to manage their accounts and deliver superior customer service. These are things that’ll be required for a recurring revenue business model to achieve success. As 5G becomes the standard, the IoT industry—already brimming with positivity and optimism—will experience a significant shot of adrenaline. The marketplace is already bloated with startups developing new services and blue-chip stalwarts working hard to adapt. IoT winners will be those who not only deliver a great service but are equipped to manage users and generate recurring revenue. Written by Brendan O’Brien, Co-Founder and Chief Innovation Officer of Aria Systems.